Delhi H.C : the deletion of Rs. 71 lakhs received by the assessee on account of share application money by the Commissioner of Income-tax (Appeals) which has been sustained by the Tribunal. CIT vs. Gangour Investment Ltd.
Rajiv Shakdher, J. – The revenue has preferred the present appeal under section 260A of the Income-tax Act, 1961 (hereinafter referred to as ‘the Act’) against the judgment of the Income-tax Appellate Tribunal (hereinafter referred to as the ‘Tribunal’) dated 19-5-2006 passed in ITA No. 2206/D/2000 in respect of the assessment year 1996-97. 1.1 The sole issue raised in the appeal is the deletion of Rs. 71 lakhs received by the assessee on account of share application money by the Commissioner of Income-tax (Appeals) [hereinafter referred to as the ‘CIT(A)’] which has been sustained by the Tribunal. 2.1 The assessee had filed its Income-tax return declaring a loss of Rs. 35,09,344. The said return was filed on 29-11-1996. 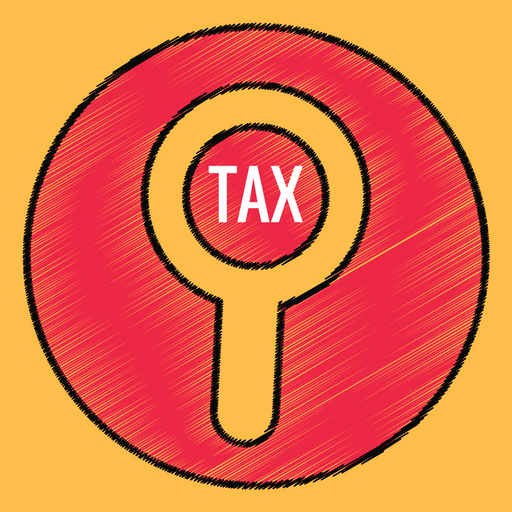 The assessee’s return was picked up for scrutiny and a notice was issued under section 142(1) of the Act. During the course of enquiry the assessee, amongst other information, was required to furnish the names, addresses, confirmation, bank account details and other details in order to establish the identity, genuineness and creditworthiness of the shareholders who had subscribed to the share capital of the assessee-company. 2.2 It is important to note at this stage that enquiry in respect of shareholders was initiated by the Assessing Officer as he had noticed that there was an increase in share capital of the assessee to the extent of Rs. 1 crore. Out of the said Rs. 1 crore, Rs. 71 lakhs, which is the amount in issue, was invested by T.T. Finance Ltd., while Rs. 19 lakhs was invested by Sh. R.C. Jain, Rs. 6 lakhs by Smt. Kaladevi Jain and balance Rs. 4 lakhs by several small investors. 2.4 The assessee being aggrieved by the aforesaid order passed by the Assessing Officer preferred an appeal to the CIT(A). The CIT(A), by his order dated 31-1-2000, allowed the assessee’s appeal subject to certain remarks made in paragraphs 5 and 7 of the appeal. In respect of the issue at hand the CIT(A) noted that the assessee had discharged its onus in satisfying the requirements of section 68 of the Act. He particularly noted that the assessee had filed copies of the applications made by the subscribers to the issue and bank pass books of the investors. He further noted that the applications clearly indicated the identity of the subscribers in the form of names, addresses, bank account numbers as well as PANs held by them with the Department. He further noted the fact that even though T.T. Finance Ltd., was a group company of the assessee having common shareholders and Directors, it was a widely held company having a paid-up share capital of Rs. 3.4 crores. In these circumstances, the CIT(A) was of the view that the assessee had discharged its onus and there was no evidence on record to support the findings of the Assessing Officer to show that the assessee’s own money had been routed in the form of share capital justifying the addition under section 68 of the Act. 2.5 The revenue being aggrieved by the order of the CIT(A) preferred an appeal only with respect to deletion of addition pertaining to the investment made by T.T. Finance Ltd., in the sum of Rs. 71 lakhs. The Tribunal by the impugned judgment sustained the order of the CIT(A). In doing so, the Tribunal noted the fact that apart from the information made available by the assessee at the stage of assessment in the form of names, addresses and PANs of the subscribers of the share capital, the money had been received through banking channels. In these circumstances, it came to the conclusion that the assessee had been able to establish the identity of the investors and the initial burden which rested on the assessee had been shifted. In view of the fact that the share capital money have been received through a cheque, the Tribunal concluded that the share capital money could not be treated as undisclosed income of the assessee as there was neither any direct nor circumstantial evidence to the contrary. 2.6 The revenue being aggrieved has preferred the present appeal. The learned counsel appearing for the revenue, Smt. Prem Lata Bansal submitted that the appeal deserves to be admitted in view of the fact that the Tribunal failed to take into account the fact that the assessee had not established all the ingredients necessary to steer clear of the ambit of the provisions of section 68 of the Act, which are, the identity, the credit- worthiness and the genuineness of the transaction. It was further contended that the Tribunal failed to appreciate that the investment in issue, by T.T. Finance Ltd., was by a group company. The assessee and the investor i.e., T.T. Finance Ltd., had common Directors and operated from the same office. 2.7 We must point out at this stage that when it was put to the learned counsel for the revenue that the assessment order did not disclose any basis, whatsoever, as to how the Assessing Officer had come to the conclusion that funds invested by T.T. Finance Ltd., were nothing but assessee’s own funds which had been routed through the said investor except the bald statement to that effect, she fairly conceded that the Assessing Officer’s observations were cryptic and hence to cure the defect the proceedings be remanded back to the Assessing Officer to pass a speaking order. 2.8 Before we proceed further we must get this submission of the learned counsel for the revenue out of the way. We may note that in paragraph 3 of the CIT(A)’s order it has been categorically noted that the paper book filed and the submissions made by the assessee on 1-11-1999, were forwarded by him to the Assessing Officer vide letter dated 3-11-1999 requesting him to furnish his comments/reports on or before 16-11-1999. He further noted that on 1-12-1999 the assessee’s counsel appeared before him and submitted a letter with certain enclosures. These were also forwarded by the CIT(A) to the Assessing Officer vide letter dated 1-12-1999. The Assessing Officer’s report was sought on or before 14-12-1999. Thereafter, the counsel for the assessee put in an appearances before the CIT(A) on 15-12-1999, 5-1-2000 and 21-1-2000. The Assessing Officer, however, did not submit any report. As a matter of fact the CIT(A) records that both on 24-1-2000 and 27-1-2000 the Assessing Officer orally informed the CIT(A) to decide the appeal based on the facts available on record. 2.9 Given the afore-mentioned circumstances, we find it difficult to accept the submission made by the learned counsel for the revenue, that the matter be remanded to the Assessing Officer for passing a speaking order. 3. Coming back to the case, insofar as the learned counsel for the assessee Shri Rajiv Bansal was concerned, he relied upon the order passed both by the CIT(A) as well as the Tribunal. It was his statement that there are concurrent findings of fact returned by the CIT(A) as well as the Tribunal which ought not to be disturbed by this Court as no substantial question of law has arisen for consideration of this Court. 4.1 The revenue can make addition under section 68 of the Act only if the assessee is unable to explain the credits appearing in its books of account. In the instant case the assessee had filed the subscription form of each of the investors, in particular, T.T. Finance Ltd. The said subscription form contained details, which set out not only the identity of the subscribers, but also gave information, with respect to their address, as well as, PANs. During the course of scrutiny the Assessing Officer had also asked for and was supplied a copy of the statement of the bank accounts of T.T. Finance Ltd. The payments, in issue, was made by way of a cheque. Findings of fact in respect of these ingredients had been returned both by the CIT(A) as well as the Tribunal. The Assessing Officer’s observations justifying the addition on the other hand, to say the least are bald. 4.2 It is noted that T.T. Finance Ltd., is a widely held company having its own paid-up share capital amounting to Rs. 3.4 crores. The assessee, as noted by the authorities below, is a member of the NSE and is involved in sale and purchase of shares. In these circumstances, we are of the view that the assessee has been able to discharge its onus in respect of the veracity of the transactions. This aspect of the matter has been squarely dealt with in a Division Bench judgment of this Court in CIT v. Divine Leasing & Finance Ltd.  299 ITR 268 1 in paragraphs 12 and 13 at pages 278 and 279 and paragraphs 18 and 19 at pages 282 and 283. It is important to note that in the said judgment the Division Bench has taken note of the judgment of the Full Bench of this Court in CIT v. Sofia Finance Ltd.  205 ITR 98 2. The Division Bench in Divine Leasing & Finance Ltd.’s case (supra) was considering a batch of petitions which included, amongst others, an appeal titled CIT v. Lovely Exports (P.) Ltd.  216 CTR (SC) 195. The judgment of the Division Bench was carried in appeal to the Supreme Court. The Supreme Court by a speaking order dated 11-1-2008 passed in Special Leave to Appeal No. 11993/2007 dismissed the appeal of the revenue in the case of Lovely Exports (P.) Ltd. (supra). 5. In the circumstances, we are of the view that no question of law, much less, a substantial question of law has arisen for our consideration. The revenue’s appeal fails and hence, is dismissed. No order as to costs. This entry was posted in Section 68 and tagged 335 ITR, Delhi High Court, In favour of Assessee, share application money.